Several schools in the SEC wanted Antoine Davis to visit, but he decided to stick with family. There will be two Davis’ at Texas Southern this season. 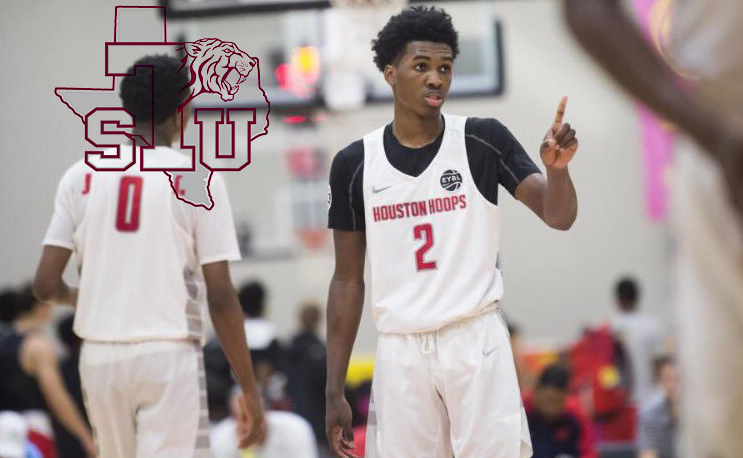 Antoine Davis, a 6’2 incoming freshman guard, has decided to play his college basketball at TxSU after initially committing to Houston. His father is Mike Davis, the head basketball coach at the program. “I decided I want to go play for my dad,” the younger Davis said via Fox 26. That was the reason I got out of Houston. We had a long talk about it. I’m excited. I’m ready to work with him, work for him. I feel like its going to be a great year. A three-star recruit by ESPN, Davis committed to Houston back in November. He initially chose Houston over Nevada, Stephen F. Austin, UTEP, Colorado State and Little Rock. After de-committing from Houston, the elder Davis says that Auburn, Georgia, Georgia Tech, Memphis and Southern Methodist University all wanted him to visit. The freshman will join a talented Tigers team that has won three of the last four SWAC Tournaments and won its first NCAA Tournament game this year. He will have to compete for time in a backcourt that features high-volume scorer Trae Jefferson, who scored better than 23 points a game in 27 appearances, including 25 points in the win against North Carolina Central.